The opticians of Vision Park are eager to help you with every aspect of selecting your glasses, from frame and lens selection to fitting and on-site repair. We will consider function, facial color and shape, occupation, lifestyle, lens designs, personal preferences and other factors to help you find the right eyewear. From single vision to bifocal or multifocal lenses, Vision Park fills each prescription accurately and at competitive pricing. 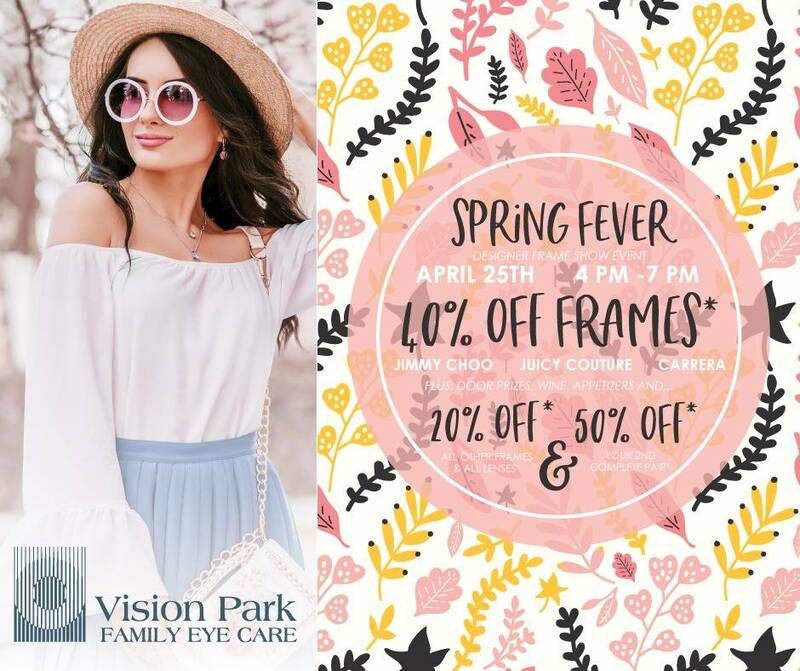 Vision Park features a full line of eyewear that includes designer frames, sports and sun wear, diving and ski goggles, and accessories. New clients and all our current patients are welcome to visit our frame gallery with their current prescription – no appointment necessary. Adults and children spend hours daily on computers, cell phones, and tablets. This increased near demand can create excess eye strain and headaches, not to mention the toll that damaging blue light can create. Vision Park has many designs of computer/occupational lenses to improve comfort and visual efficiency while on computers and electronics. Sunglasses can make a great fashion statement, but their most important function is to provide protection against ultraviolet (UV) light. Sunglasses can be worn by anyone, from a young child without a prescription to a person who needs vision correction. Our staff at Vision Park can determine which lens color will work best for your hobbies, whether it is golf or baseball. We offer polarized lenses to aid with glare and enhance water sports like boating and fishing. Vision Park uses lenses with the most up-to-date technologies to provide optimal visual performance and comfort., even for patients with high and difficult prescriptions. Our opticians will help determine which style of lens works best for your lifestyle, whether it’s single vision, bifocal lenses or progressive addition lenses. We also offer Transitions® Lenses, the #1 brand of photochromic lenses recommended by eye care professionals worldwide. Sports, water activities, and all types of recreation can be made more comfortable with proper eyewear. Vision Park offers polarized sunwear to provide the best contrast in sports. We have protective eyewear for raquetball, lacrosse, and baseball/softball, and are happy to provide prescription swim goggles and scuba masks. Vision Park carries a large selection of children’s frames, even for infants and toddlers. 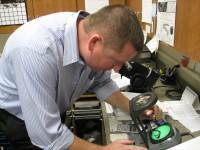 Our opticians ensure that the frame custom fits each patient.